Cosmopolitan, classy and as cultured as they come, Canada's capital is bags more fun than its somewhat staid reputation suggests. Think of Ottawa as the country in microcosm: a harmonious blend of urban and outdoorsy with a bilingual population, a coffee addiction and a healthy obsession with ice hockey. 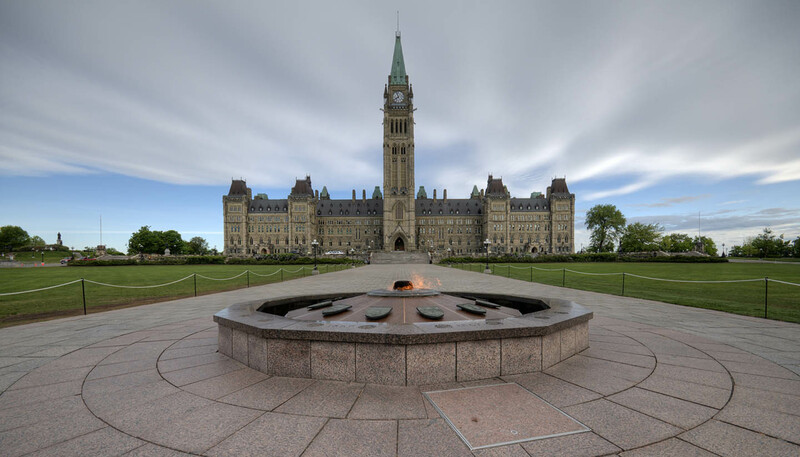 At Ottawa's heart are the neo-gothic spires and turrets of Parliament Hill. Stretching skyward on the steep bluffs high above the River Ottawa, these Westminster-style government buildings exude a European elegance that is echoed in the barge-lined undulations of the Rideau Canal as it cuts through the city centre. Ottawa began life as a small lumber town, but a radical 20th-century redesign transformed the city into the leafy, elegant capital it is today. Much of the action still takes place in the original ByWard Market district – the focal point for the city's French and Irish communities – which teems with closely-packed shops, restaurants and bars. It might not be as lively or as garrulous as nearby Toronto, but Ottawa is the nation's intellectual nucleus with a raft of museums and galleries to prove it. The city's highbrow residents don't spend all their time browsing exhibitions and sipping flat whites in coffee shops though - not with so many outdoorsy activities to indulge in. A packed calendar of events helps make Ottawa a year-round destination. Winterlude, which takes place over three weekends of February, offers everything from learn-to-skate clinics to a children's snow playground and draws around 600,000 visitors. Music enthusiasts have no shortage of options either with Bluesfest, the Ottawa International Jazz Festival and Ottawa Chamberfest all rolling around annually.